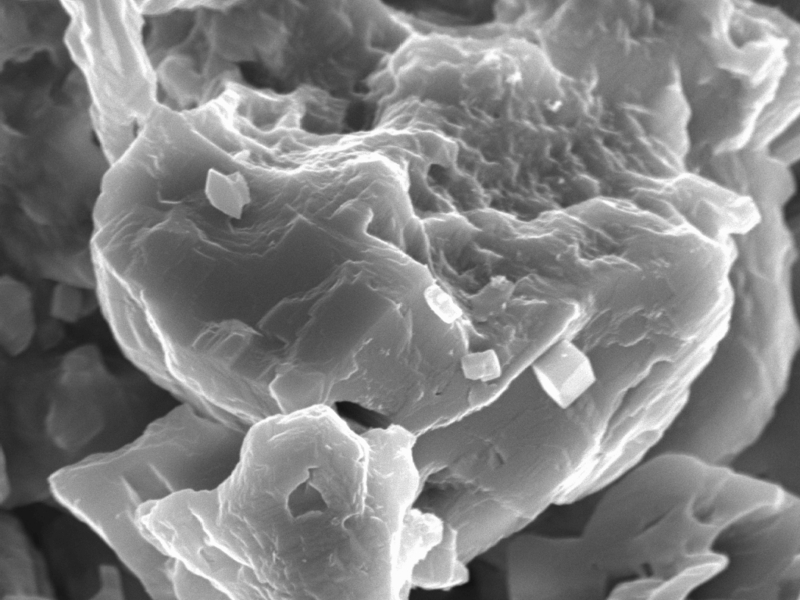 SEM image (5000x) of goyazite/svanbergite cubes on calcite. Samples are Au-Pd coated. Photo by Mike Spilde and Diana Northup. Caption? Samples are Au-Pd coated. Photo by Mike Spilde and Diana Northup. Closeup SEM (3700x) image of svanvergite cubes from red-brown corrosion residue from Snowing Passage, Southwest Branch. Samples are Au-Pd coated. Photo by Diana Northup and Mike Spilde. 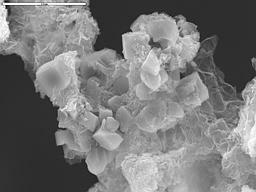 Closeup SEM (4000x) image of svanvergite cubes from red-brown corrosion residue from Snowing Passage, Southwest Branch. 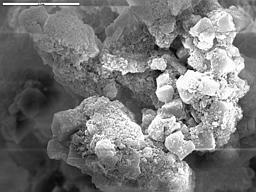 Samples are Au-Pd coated. Photo by Diana Northup and Mike Spilde. 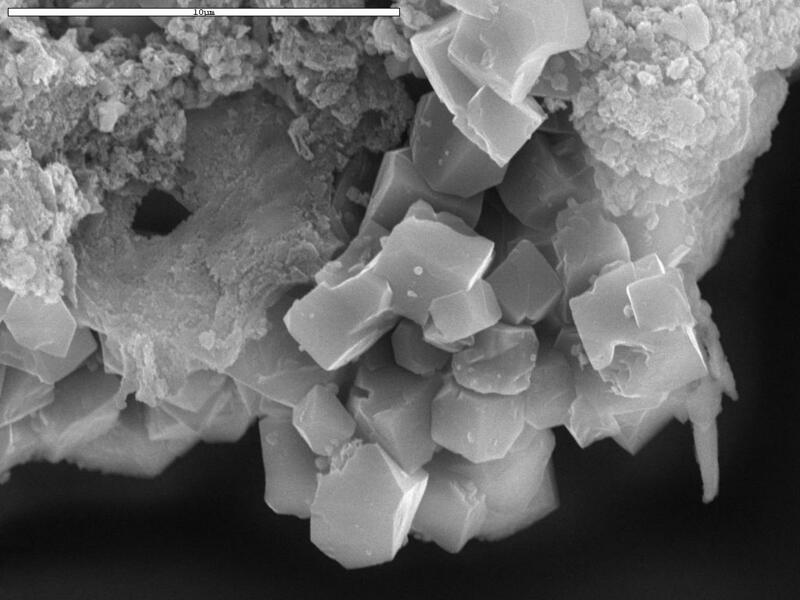 Closeup SEM (6000x) image of svanvergite crystals from red-brown corrosion residue from Snowing Passage, Southwest Branch. 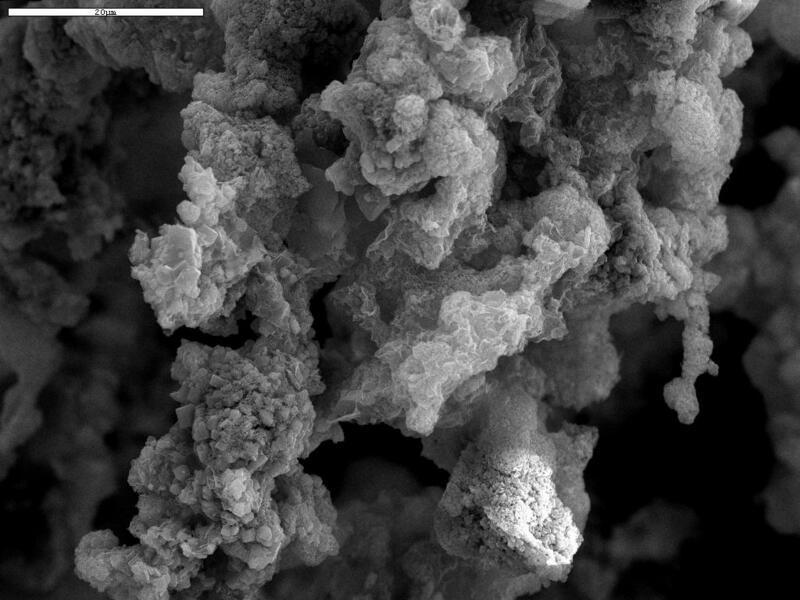 Samples are Au-Pd coated. Photo by Diana Northup and Mike Spilde.